The ProVida Coat & Condition products are unique formulations developed by animal nutritionists to deliver the ultimate supplement targeted at the health of the skin and condition of the coat. With added functional ingredients renowned for their efficacy to skin and coat health, this range is ideal for animals with poor skin, irritations, hair loss, allergies or dull coats. Natural options proven to offer significant health and wellness benefits to enhance life quality and the happiness of your animals. The ProVida Vitality & Wellbeing range is ideal for all animals and offers nutritional supplements to promote the overall health of many bodily systems. A range of supplements rich in dietary fibre, protein and vitamins & minerals proven to offer significant benefits to the digestive system. These products are targeted at promoting optimum bowel health and digestive function. Ideal for animals that suffer from constipation, digestive upset and poor bowel function. Combining the best of science and nature, the Joint & Mobility supplements are specifically formulated for older animals, those with poor mobility and joint concerns or those recovering from injury. The ProVida Joint & Mobility collection offers an array of supplements to promote the optimum health and condition of the bones, joints, ligaments and connective tissues. We truly believe New Zealand grows some of the world’s best grains and seeds, and our goal is to deliver these exceptional products to our customers. Our core products include cold-pressed flaxseed oil and flaxseed meal, guaranteed to be from our backyard to the bowl! FEATURED PRODUCTS ON SALE NOW! We use Flax Seed Oil with all primates (spider monkeys, siamang gibbons, ringtailed lemurs and black & white ruffed lemurs) for psychological and coat maintenance. Additionally it is used on hoofstock such as giraffe to aide in general condition and in cheetah for joint health. "Thanks to the support of Fourflax Animal Health Products, our carnivores and primates at Hamilton Zoo have been enjoying the addition of flaxseed oil in their diets. We apply it daily to our carnivores meat diet and over fruit and vegetable diets for our primates. 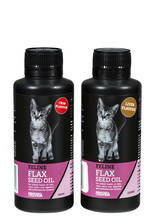 In the three months that we have been using the flaxseed oil we have seen positive results in coat condition and also noticed improvements in their general health and wellbeing. Some of our visitors have commented, “the chimpanzees skin looks so good”, which we credit to the use of flaxseed oil. The long term benefits of using such a product is evident in the health and welfare of our animals." 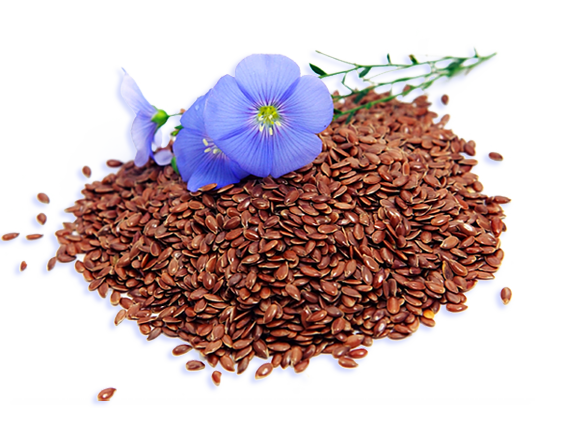 Flax Seed Oil provides the richest (almost 60%) natural source of Omega 3, an essential fatty acid (EFA). Fourflax works closely with Canterbury farmers to ensure the supply of fully traceable and quality Linseed seed for the production of our Flax Seed products. This traceability guarantees the quality of the seed planted in the ground, the resultant seed going into the presses, and therefore the finest quality finished products.